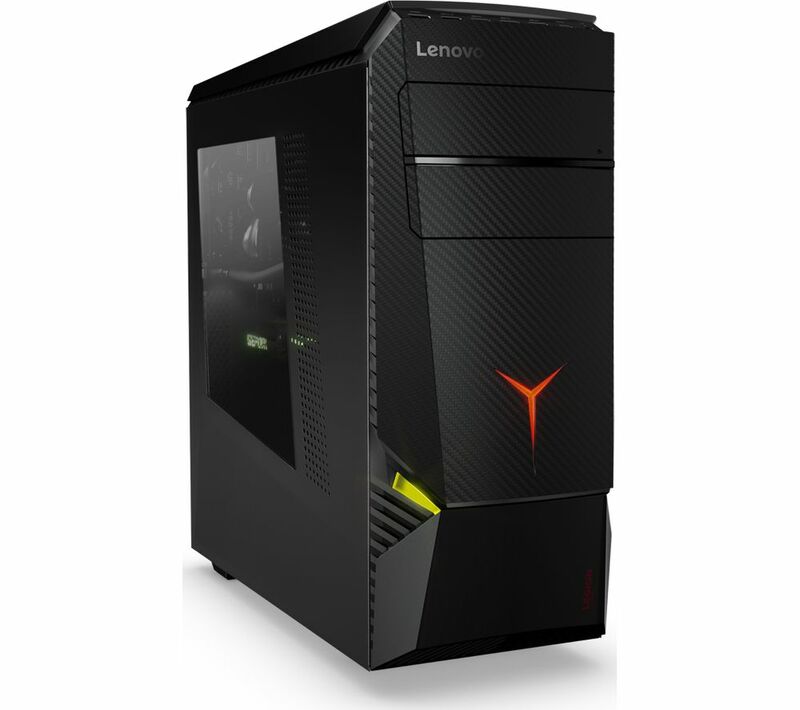 Our Gaming range features the most powerful PCs available today, such as this Lenovo Legion Y920T Gaming PC. 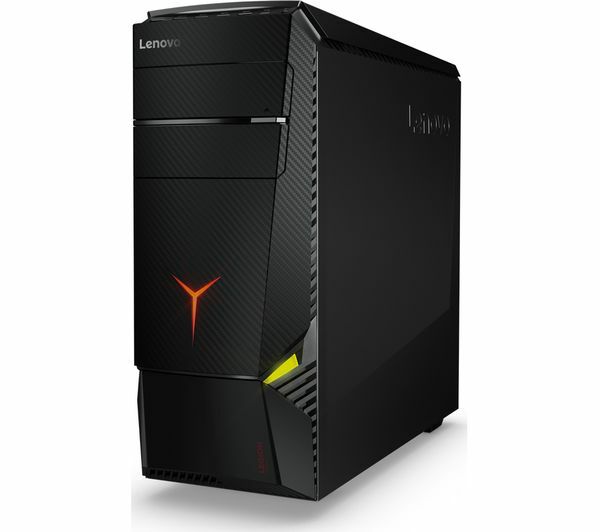 It has outstanding graphics performance and a top-of-the-line processor to suit the most demanding tasks. Enjoy the performance of the powerful Intel® Core™ i7 Kaby Lake processor, with a base clock speed of 4.2 GHz and Turbo Boost of 4.5 GHz. 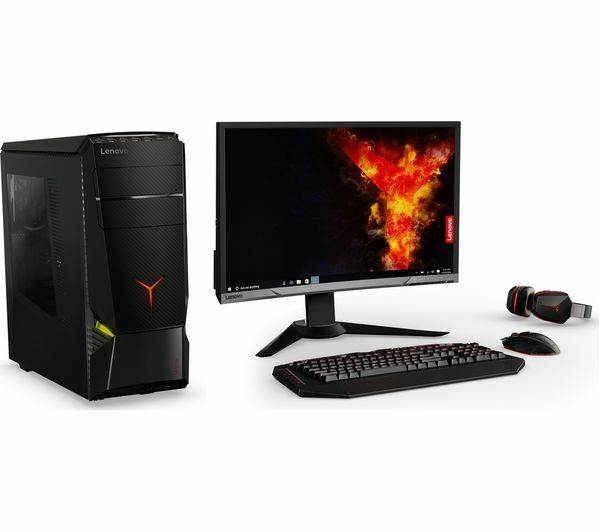 So if you want to push your new system to its limits when you're running games, recording performance, and streaming online, you can do it without hassle. Thanks to NVIDIA's Pascal architecture, there are more CUDA cores than on previous cards, with higher clock speeds and 8 GB of dedicated DDR5 RAM. You'll be able to run some of the most demanding new titles like Dirt, The Witcher 3 and Rise of the Tomb Raider in Full HD 1080p – and in frame rates that will wow. Enjoy immersive, interactive, next-generation entertainment and gaming thanks to the GeForce GTX 1080 graphics card. It will work with systems such as Oculus Rift and HTC Vive (both sold separately) so you can put yourself in the action. 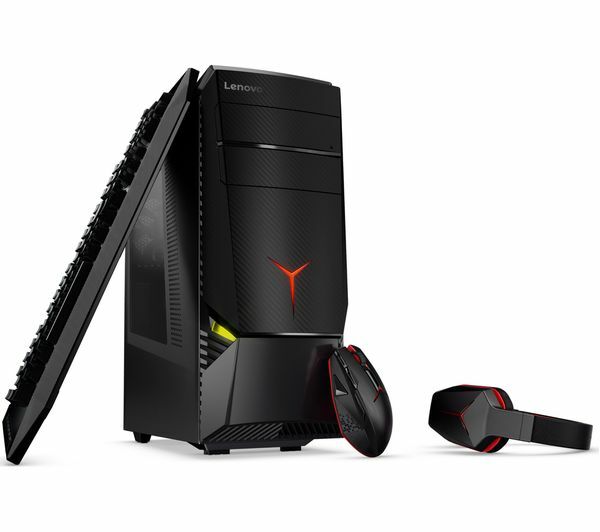 Ensure there are no lags in performance when gaming online, as the Y920T not only has 2.2 AC WiFi, but features Killer LAN E-2500, for lightning-fast wired action. High-speed performance isn't limited to the LAN either, as USB 3.0 ports ensure any data transfer you undertake will happen rapidly.